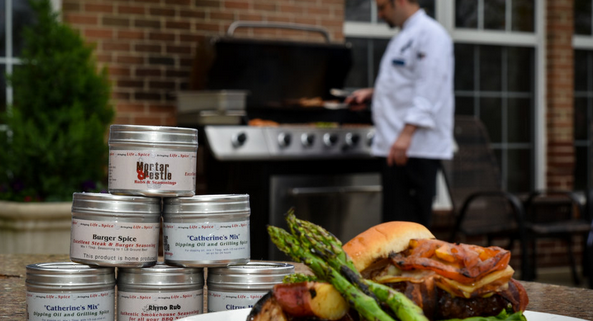 Chef Ryan Knuth is the creator of our popular Mortar and Pestle Spice Blends. He will lead this class on how to create a fabulous meal that is also gluten free and relatively salt free! He brings flavor to his culinary creations by incorporating our wonderful olive oils and balsamic vinegars and his delicious spice blends. Everything in this menu is gluten free & fabulous! Wine pairings included with this class.